The Environmental Protection Agency is opening internal investigations into Scott Pruitt's $50-a-night condo deal with a lobbyist and other recent allegations, adding to about a dozen federal probes involving the EPA chief. EPA Inspector General Arthur A. Elkins Jr. confirmed the new investigations in a letter to lawmakers written Wednesday and released Friday. Pruitt's condo deal would be one of several recent allegations involving Pruitt that would be the topic of new or expanded investigations, Elkins wrote. The Office of Government Ethics, which is the government's top ethics watchdog agency, and lawmakers had asked for investigations of the condo lease and others of the latest allegations raised involving Pruitt. The agency's whistleblower hotline also had received calls on the same allegations, Elkins wrote. EPA spokesman Jahan Wilcox declined comment Friday, saying the agency does not publicly address matters related to the inspector general. Pruitt for much of last year rented a Washington bedroom from a lobbyist whose husband had pending matters before the EPA. The unusual deal allowed the EPA chief to pay just $50 a night, and only on the nights he actually stayed there. Announcement of the new investigations comes a day after Pruitt weathered six hours of scathing questions and criticism from House Democrats on ethics allegations, in back-to-back hearings. 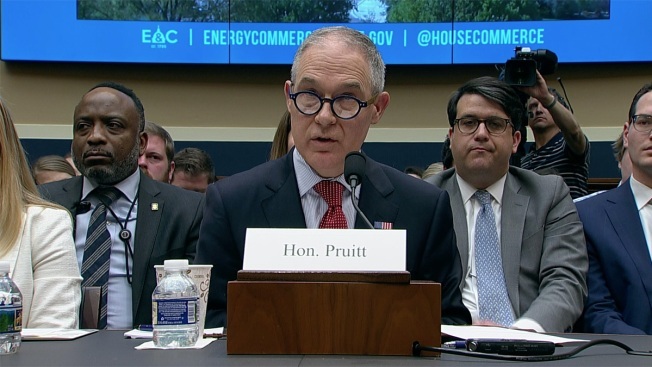 The hearings were seen as make-or-break for Pruitt in the wake of months of news reports into alleged misconduct that eroded support of the former Oklahoma attorney general at the White House. 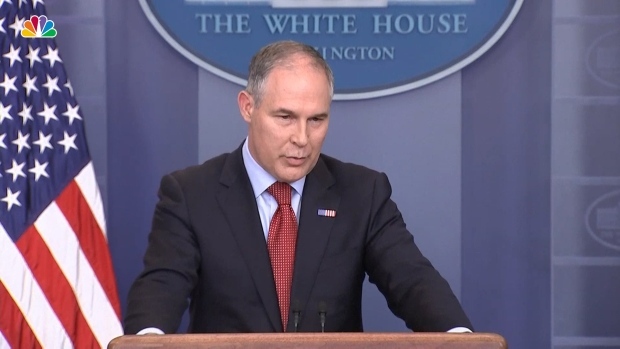 Pruitt gave clipped, lawyerly answers to Democrat's questions on the ethics allegations on Thursday, repeatedly blaming subordinates for decisions he said he had no knowledge of. The day ended without any obvious, immediate mortal blow to Pruitt politically, and no Republican lawmakers in the hearings joined calls on Pruitt to resign. "He obviously hopes that the bad headlines generated by his bad behavior will go away, and that he won't be held accountable for his actions," said Rep. Don Beyer, a Virginia Democrat and one of the members of Congress asking for the expanded probes. "The Inspector General's letter announcing new reviews assures us that this will not happen," Beyer said in a statement. Pruitt is a onetime Oklahoma state lawmaker who built alliances to wealthy oilmen and influential Republican conservatives. As head of the environmental agency he has faced an unending series of revelations involving issues such as pricey trips in first-class seats and unusual security spending, including a $43,000 soundproof booth for making private phone calls. He also demanded 24-hour-a-day protection from armed officers, resulting in a 20-member security detail that blew through overtime budgets and racked up expenses approaching $3 million. The EPA's inspector-general, the Government Accountability Office and the White House Office of Management and Budget all have announced probes into several of the earlier allegations. Besides Pruitt's housing arrangements, Elkins' letter indicated new or expanded investigations into more recent allegations about Pruitt's spending on travel and security; claims that he gave two favored staffers big raises despite White House opposition; and claims that he assigned one staffer to help him hunt for a house in Washington. Investigators also would look into news reports that the EPA punished staffers who went public with complaints about Pruitt's spending, Elkins indicated. Pruitt denied wrongdoing in his testimony to lawmakers on Thursday, and denied knowledge of any rule-breaking in either raises or demotions.